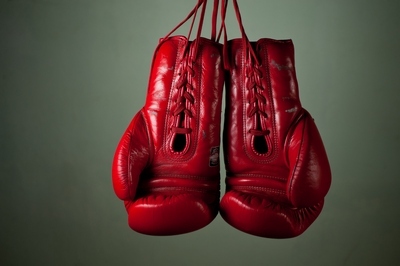 A contested divorce is, as one might expect, typically a longer and more drawn out legal procedure that one that is pursued amicably and is resolved in an uncontested manner. Uncontested divorces are common and, with sound legal assistance and representation, they can still be brought to a close within a reasonable amount of time. I want a Divorce but My Spouse Doesn’t. What Can Be Done? No one can stop a spouse from filing for divorce, even if one party disagrees and would prefer not to divorce. However, it’s important to understand that this scenario almost always results in a contentious process and a contested divorce. Generally, professionals in the legal field, as well as those who regularly engage in marriage counseling or therapy, urge spouses to work together to come to a consensus rather than surprising each other with legal documents. It might be time to consider the services of a legal professional. In a quick, professional manner, a lawyer can more easily advise a course of action that both sides will eventually agree on. The goal is to proceed in a way that settles the disagreement early on, reducing the length and disagreements of a contested divorce scenario. 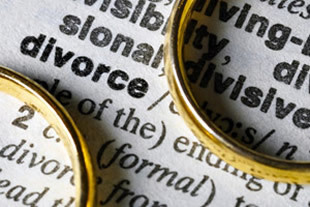 How Much Will a Contested Divorce Cost? Contested divorces generally have no set cost, since their duration and the number of issues that they address can easily vary between couples. In fact, depending on the course of the divorce proceedings, issues can change and crop up over time even within a single case. This make it hard to predict the total cost of a contested divorce, but there are some general figures that should help couples get an idea of what they’re facing monetarily. Most experts in the divorce industry recommend that couples set aside anywhere between $2,500 and $10,000 for an amicable divorce, but the average contested split will typically not cost less than $10,000. If the issue is quickly resolved, couples could end up paying about $15,000 or $20,000 from start to finish. For those divorces that are contested on virtually every basis, and dragged out for year after year, it’s not unheard of for costs to escalate near or into the six-figure range. 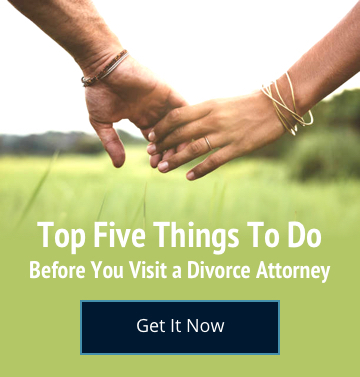 As with virtually everything concerning a contested divorce, those couples with disagreements over matters of finances, debt, custody, property, or other matters should consult with the legal professionals at the Steinberg Law Group. We can estimate fees, court costs, and other items that will add to the total expense. Only a consultation and estimate from a legal professional can provide concrete insight into the potential expenditures needed to resolve the matter. Possession of the residence is almost always an area of contention, since virtually all couples bought the home together, paid for it together, and have established their lives around the shared residence. Often, splitting up the residence is done in a way that maintains family stability, providing one parent with custody during the divorce and allowing that custody to take place in the shared residence. One spouse can, and often will, opt to move out under these conditions. In other cases, it simply comes down to expenses and income: One spouse remaining in the house often assumes the financial burden, and must make sure that their income is sufficient enough to do so without the support of the other. Cases that involve domestic violence are a bit more complex, but most experts in the field recommend that the abused party obtain a court order known as an “temporary protection order” or simply a restraining order. Once protection is in place, the divorce is pursued in much the same manner as any other contested divorce would be. Perhaps the single biggest area of disagreement in a contested divorce involves property that is either jointly owned or was purchased separately. Disagreements about which items constitute community property, with shared ownership, and which ones are separate property, can lead to headaches for many couples. Generally, attorneys will work to settle disagreements by ensuring that both sides end up with community assets largely equal in value. Typically, attorney fees are paid by each spouse as they retain their separate legal counsel throughout the process. One spouse may be required to pay attorney fees for the other party under certain circumstances. Typically, fees are awarded to one spouse if the other has a significantly higher income or the judge finds that one spouse needlessly lengthened the divorce proceeding and caused a significant increase in the total costs paid by the other party. It should also be noted that Nevada has no set formula for alimony payments, making this an area of negotiation between each spouse and their legal counsel or an issue resolved by the court. All Steinberg Law Group attorneys are fully versed in finding the best way to help their clients and their clients’ children.